The meet-cutes in romantic comedies always seem like impossibly convenient circumstances. How is that two perfectly compatible people just happen to bump into each other at the right time? We can’t guess where lightning will strike, but we can give you clues where you might meet your future sweetheart. Here’s what the stars have to say about where you might find Cupid’s arrow. Ambitious, pragmatic, and hard-working, you tend to be too picky when choosing your own date. That’s why your soulmate will appear when you’re least likely to look for one –– out with friends or even a double date! Your spontaneity makes you special, and when you’re doing something you’re passionate about, you absolutely glow. Your future soulmate will notice you when you jump into a beach volleyball match on a whim or invite others to your beach picnic. As a water sign, you tend to be introspective and in tune with your emotions. This is why Pisces tends to be artistically inclined. Sharing your love of art and learning about other people’s passions are traits you want in a lifelong relationship. Expect to find the person who truly understand you in a museum, at a concert, at the theatre, or even at a poetry reading. 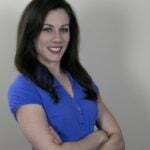 Aries has an incomparable vitality, and she needs someone who can keep up with her strong will. Her soulmate is buried in one of the many faces in a fast-paced big city, whether it’s downtown in the city where you live full-time or on a vacation. A creature of habit, Taurus likes to feel grounded and focus on her domestic space. Your soulmate is waiting somewhere you already know and love. This could be your favorite coffee shop, your gym, or maybe in your own neighborhood. Gemini is an unparalleled conversationalist. Even if you don’t have the wittiest comeback, you are an excellent listener. Your hidden diamond in the rough will notice you sparkling at the bar of a restaurant, at a fancy hotel, or even in an airport lounge. Cancer is loving and protective of people she loves, and you may have been burned in the past by those who want to take advantage of that. Your true soulmate should be similarly attuned with the moon’s nurturing powers, which is your ruling celestial body. Your partner will be at a dog park, your kid’s local playground, or the waiting room where you’re driving your friend home from the doctor. Mighty Leo’s pride can sometimes be an obstacle, but it can also be a gift. Appreciating your own culture and being confident in yourself are traits that we all need. Your energy will draw the eye of your soulmate when you lead the crowd in a cheer for the home team at your favorite game. Or, if sports aren’t your thing, maybe a midnight film screening or an interactive show will showcase your positive energy. Virgos are great team players and are drawn to serving to others. You need a lifelong partner who appreciates and supports your generosity yet still understands what you need. Look for the person at your community events, on your trivia night team, or at your favorite charity who can contribute without being selfish. Your ruling planet, Venus, is associated with aesthetics, beauty, refinement and romance. You need a partner who can appreciate those treasures, too. Chat with the people you meet on a nature hike, at the park, or at the part of the beach without tourists and you’ll connect with someone who loves sunsets as much as you. As the most intense sign of the Zodiac, Scorpio tends to have more suffering in life but also the most personal transformation. 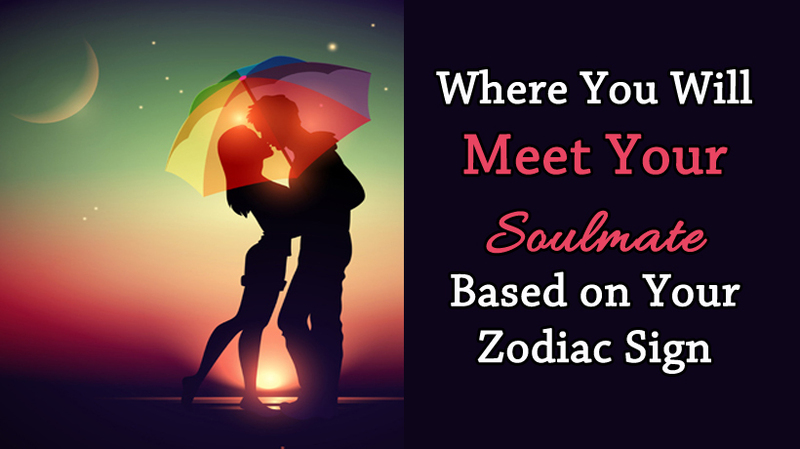 Your most compatible soulmate can help you wind down and reflect on your own needs. A bookstore, a library (but not in the quiet reading section! ), or a café are the best places to find great listeners. This fire sign is direct and honest . . . and sometimes even blunt. You’re an excellent judge of character, meaning you can sift through disingenuous people quickly. Your soulmate is somewhere in that big party, barbecue, or get-together.